"Walking Is the Best Medicine"
If we are ready to go with the laws of the nature and being human we can improve our Body_Soul_Mental health fundamentally and autonomously. Let us hike Tegernsee See Coast on fresh air to improve our energy level by regenerating our energy fabrics, the mitochondrias, by increasing our resiliency on alkaline air with phytoaerosoles for a better health management in the long term when faced with new & unexpected challenges. Long lasting movement improves both physical, mental performance as well as the immune system & let us make this continuously as working on these improvements need continuity. Given all these details please be sure this event is really for you. *We are all adults, accordingly every one of us takes her/his own fullest responsibility regarding long distance, tempo, health condition, time management etc. The responsibilities are communicated many times on this activity text, in disclaimer as well as through my messages to the attendees -to make sure that these are all well recognised. Accordingly as activity host I will not take any responsibility. -In case of bad weather the activity will still take place- as survival is one aspect of this activity. Again, you attend this activity in case of bad wheather on your fullest own responsibility and risk. 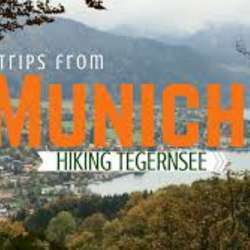 Please make sure that Tegernsee area is expensive if you want to attend an event in Tegernsee with lunch and maybe with dinner as well. This property of Tegernsee is well known. In addition you are free to bring your own food and drink. In addition, as of my experience so far, most of the attendees do not read the activity text. Even -reading or not reading of the activity text- is your responsibility. Thanks for understanding. Please take all these requirements and responsibilities (distance, tempo, your time, your health condition, wheather condition etc.) in account for your decision before signing in. I will be happy to wellcome you to the 3rd_ MAR Protected content of this activity serie with challenges.